Welcome to the Auto Seeds Bank. 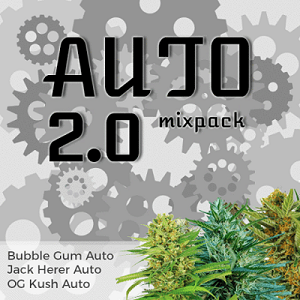 Discover the finest selection of Auto Seeds right here at the Auto Seeds Bank, promoters of the best Auto Seeds from the worlds favorite breeders. 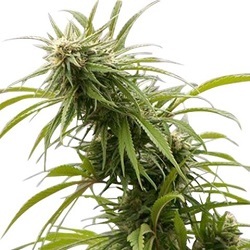 Whether you’re a connoisseur, or growing for profit, we have a selection of Autoflowering Seeds to suit all Cannabis growers, both indoors and outside. Hard-hitting, fast finishing cash-crop Auto seeds guaranteed to hit the spot time after time. 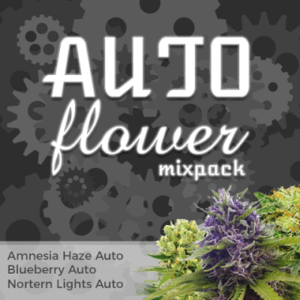 Over the last 4 years we here at Auto Seeds Bank have promoted Auto Seeds across the world. From their humble origins, Autoflowering Cannabis seeds have been adopted by both professional seed companies, and growers alike. Usually smaller than their Regular and Feminized counter-parts, Auto seeds remain compact, flowering regardless of the number of light hours they receive, often maturing from seed in around 60-70 days, making them an ideal choice to grow discreetly outdoors during the Summer months. Buy the best Auto Seeds from the world’s finest Cannabis Seed breeders right here. Specialist seed breeders such as Lowlife, Short Stuff and Next Generation Seeds. Alternatively select your Auto Seeds from established feminized seed company’s including; Barney’s Farm, DNA Genetics and the Humboldt Seed Organization.